Not too long ago we had a bit of a warm spurt. This was a perfect time to get some work done on the EcoRider. Specifically, it was a good time to make good on my promise to the previous owner of the mower to get him his engine back. 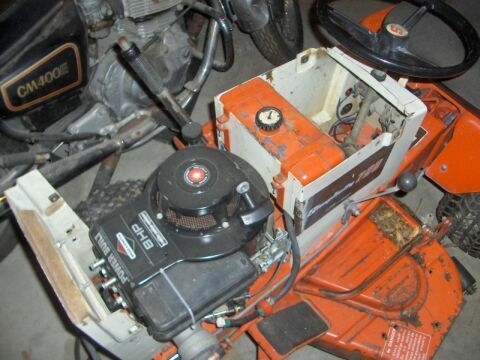 There honestly wasn’t a whole lot of work to do to pull the engine out of the mower. The first step was to remove all the body panels that surround the engine. Thankfully, mowers are very simple. A few bolts were removed and that was taken care of. 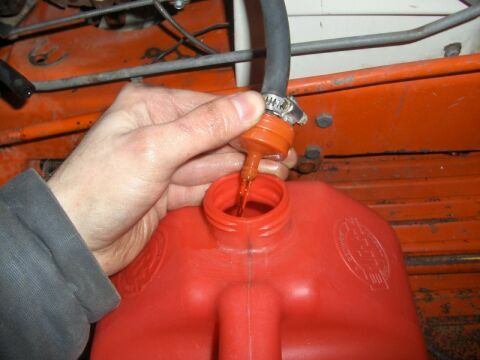 Ah yes, the joyous moment of draining the gas tank knowing the mower will never needing another drop of gas. I also removed the throttle and choke linkages and unbolted the engine from the frame. So, we’re ready to pull the engine out? Not quite yet. I also had to remove the belts from the pulleys and remove the pulleys from the engine’s output shaft. After that was done, the engine simply can be lifted off the frame. 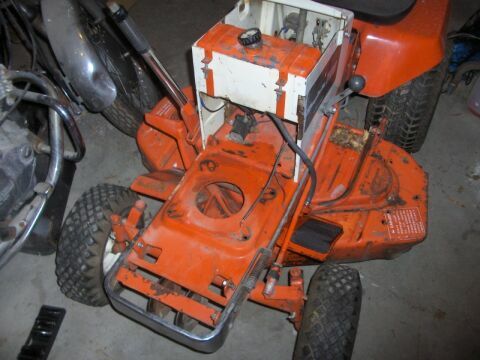 Above shows how the mower is currently sitting. 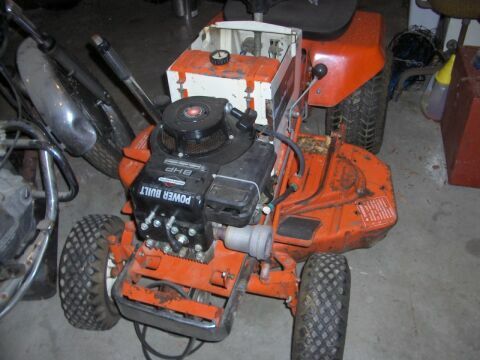 The next step will be to start aquiring the electric parts for the mower. This includes, the motor, batteries, and maybe a controller. I haven’t decided if I want to use one or not yet.